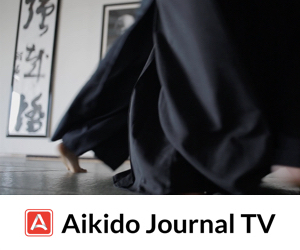 The publication of Aikido Journal 100 is a landmark for this magazine. It is the first issue bearing our new name, one that is much more appropriate, given the present content and direction of the publication. Our new name and format also happen to coincide with our 20th anniversary. I, perhaps more than anyone, am amazed that this publication has survived for so long. In fact, it has become my life’s work. I would like to take this occasion to thank you loyal readers for your interest and support and to reaffirm our commitment to producing as fine a publication as we are able… and then some! I have often been a critic of the present technical content and almost casual practice of aikido seen in many schools today. The reason for my dismay is the fact that aikido practiced in this way is a debased form of the martial art bequeathed by the founder. Certainly, all are free to practice as they wish, but I question the validity of calling much of what is seen today “aikido” when it represents little more than a hollow shell of the real art. Having said this, I wish to point out a remarkable phenomenon. Aikido, even in this diluted form, has proven a phenomenal success both in Japan and abroad. 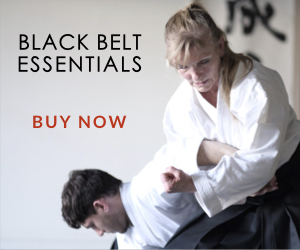 It is one of the major martial arts practiced worldwide and has become a household word in most developed countries. Unlike judo, karate, or kendo, aikido has achieved this distinction despite the fact it has not been transformed into a sport and therefore lacks competition as a means of generating interest. But if the techniques of aikido as practiced today are weak and ineffectual in self-defense situations, if it cannot count on competition (except for Tomiki Aikido) as a lure to attract the young, then where on earth does its broad appeal lie? I have given this enigma a great deal of thought in recent months and have come up with two compelling reasons. 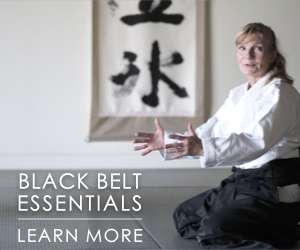 The first is simply the exceptional beauty of aikido techniques. The circularity of movement of two partners who hold no violent intent is a wonder to behold. There is a flow and gracefulness about aikido techniques that is not seen in its precursor art, Daito-ryu aikijujutsu. The other characteristic of aikido that has contributed to its wide acceptance is the innovative concept of a martial art as a tool for achieving peace. This is not to say that the classical martial ways, or modern ones for that matter, do not stress the development of the individual. They surely do. But what is special about aikido is that its spiritual core is manifest in its physical movements and integral to its techniques. The situation as I see it is thus as follows: Aikido itself and the concepts it embodies are so appealing that it has survived and thrived even in a degraded form. If this is the case, what then might be the impact of the art on society if the techniques and concepts of the founder were to be re-infused into the art? Such an aikido would surely be revolutionary and have far-reaching consequences! Yet we cannot reassert our link with the founder simply by declaring that aikido is a “spiritual martial art.” Instead, leaders and teachers of the art must exemplify this spirituality in all aspects of their lives, not solely on the training mat. Nor can we succeed in convincing people that aikido is an effective martial art simply by demonstrating light, dainty movements where the attacker is in obvious collusion with his partner. We must show convincing techniques where all openings are covered, where our movements are powerful, but controlled and applied with compassion Only then can we do justice to the intended form and meaning of aikido. Our challenge as a magazine devoted to the study and propagation of aikido is then to dearly and repeatedly articulate this message of hope. I think the challenge to you as individuals and aikidoka everywhere is to reassess your involvement in the art. I would suggest that you start by reading up on the founder. There are a number of books in English today that cover the subject. 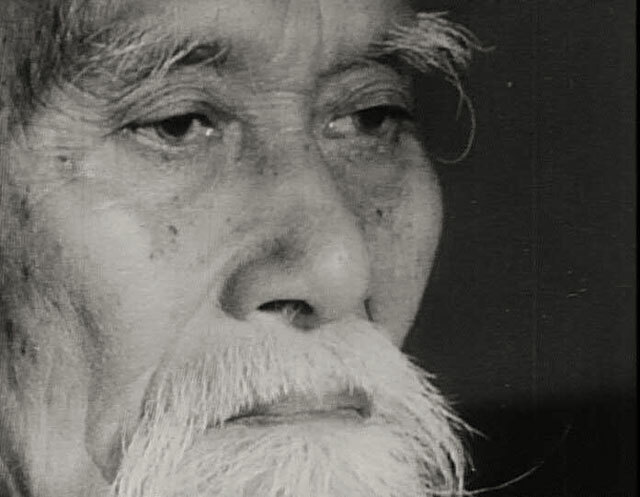 Aikido Journal has, in its earlier incarnation as Aiki News, published literally hundreds of articles dealing with every aspect of his life and art. Moreover, serious aikidoka should take a good look at the founder’s technique, which has been preserved on film. Last year we released a six-volume set of videotapes documenting the founder’s art from 1935 up until his death in 1969. 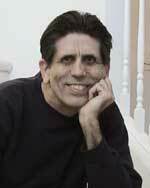 Finally, I would ask that you make a special effort to rejuvenate your own practice. If you are going to invest your valuable time to learn a self-defense art and engage in a form of exercise to improve your health, do you not owe it to yourself to constantly test your limits? Aikido has such potential as a discipline for personal growth and the improvement of society that it seems a shame not to practice it in line with the founder’s original intent. You, have in your hands the power to do so. Please do your best… and then some! Here’s wishing both you and Aikido Journal another successful twenty years! 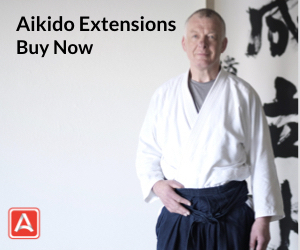 Stanley Pranin is editor-in-chief and publisher of Aikido Journal, which he established as Aiki News in 1974 in an attempt to provide accurate in formation for English- speaking aikido practitioners. 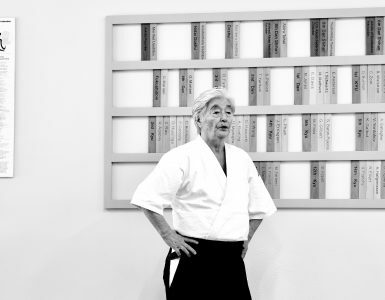 He began his aikido training in 1962 in Lomita, California, and is now 5th dan. 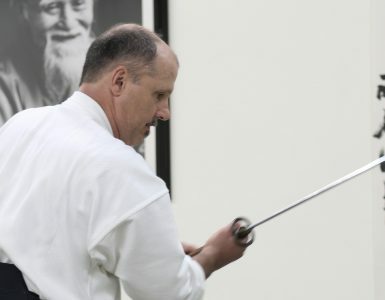 Since 1977 Pranin has lived, trained, and worked in Japan and publishes the Japanese magazine Aiki News, as well as a variety of aikido-related books. He is the author of The Aiki News Encyclopedia of Aikido, editor of Aikido Masters, and co-author of The Aiki News Dojo-Finder and Takemusu Aikido: Background and Basics. This article is just as applicable now as eighteen years ago. I am working forward. We are trying and doing things that I don’t think are being done anywhere else in the world. the same we tack on the back end of the 31 no jo and now we have two 31 no jo katas. Nishio Sensei was doing and I believe this is what he as well as O’Sensei expected of their students. mid 1990’s while I was out at sea so much. I was very surprised to see the year 2000 as the copyright. look at anything beyond what got me through. It’s a lot harder to get a finance degree at 49 than at 24. This 2000 date on the copyright makes me wonder about the Budo book coming out like volume six before #5.
longer but he stopped because of some concerns from the Hombu Dojo. As to the order of publication of the “Takemusu Aikido” series, we didn’t know how many books would be published because of Saito Sensei’s declining health. I felt that the “Budo” book was especially important from the historical standpoint and we had already shot a video of the material. That’s why it appeared before volume 5. Later, we decided to dub it volume 6. Stan as always you hit the nail on the head with both eloquence , and in a respectful way. I might add another reason for the popularity of Aikido as it is practiced today. The huge status quo is directly related to the points you make regarding the degraded form of training today. In many places you will find significantly older out of shape senior students. You will find no spirit attacks, and people falling down when they really shouldn’t. Having trained in other arts other than Aikido I have found this is often not the case in other arts. The collusion you speak of in training is a big draw for many Aikidoists. The people who have sent everybody flying through the air with minimal effort are not going to want to go back to the drawing board. There are, of course, exceptions to the rule. Yet, they are a small percentage of the Aikido whole. I applaud your efforts to have people strive towards training like the founder designed. Yet, the thing about change on a larger scale is that people have to want to change. You obviously have many fans (me being one of them), but truly how many have the shared vision of training the way you speak of. The old guard will keep many of the younger people from trying Aikido. They will demonstrate their techniques in a way that will have people continuing to say ” That’s not real” or ” That would never work in real life.” I am inspired by your perseverance, please keep on pushing forward. Thank you very much for your comment. I totally agree with what you’re saying.